The inspiration for this kinetic sculpture came from the beautiful cherry blossom trees that lined the streets in Chinhae, South Korea, where I lived for seven years. 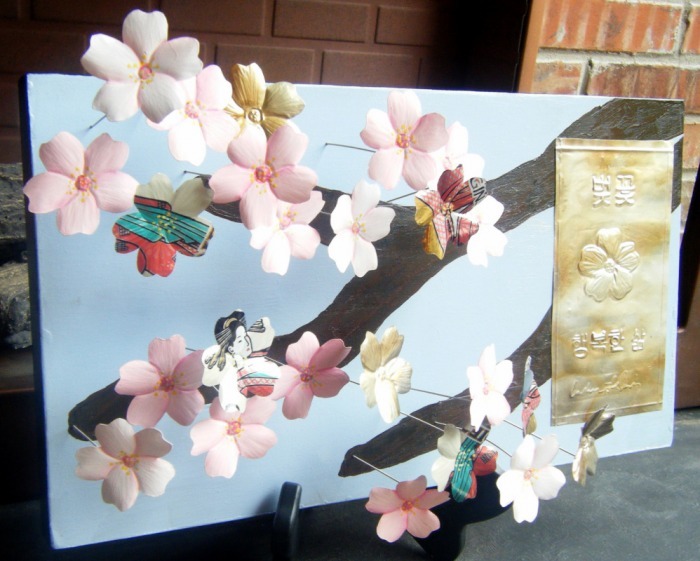 I loved walking under the cotton candy pink bowers in the spring and my children played in the cherry blossom "snow" that blanketed the streets. The blooms in my sculpture sway in the breeze and they take me back to those happy days in "The Land of Morning Calm." 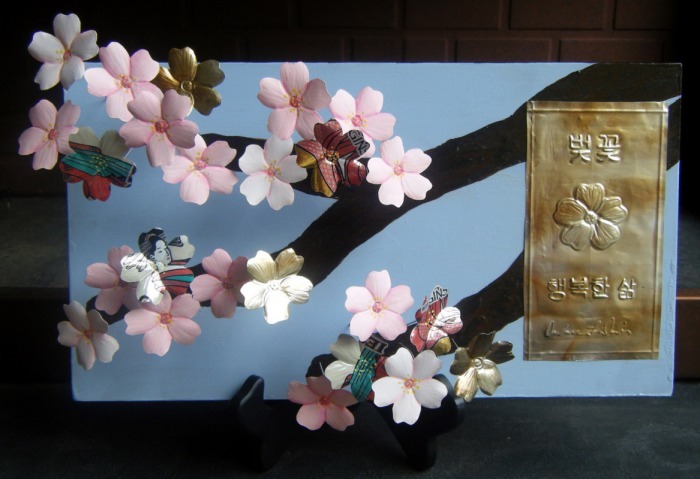 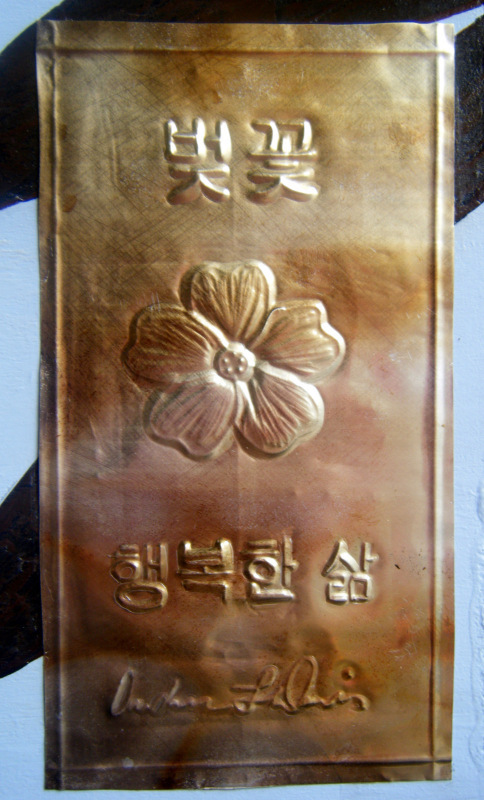 In Hangul (Korean) the plaque reads: "Cherry Blossoms" at the top and "Happy Life" at the bottom. 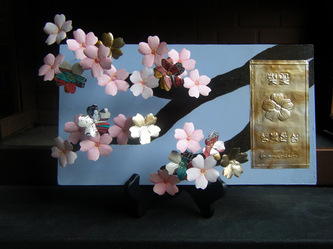 "Cherry Blossoms"; 2010. Aluminum drink cans, wire, MDF, vinyl paint, acrylic paint; 13.5" x 7.5"x4"; $150. The movement in this video is caused by a ceiling fan overhead. 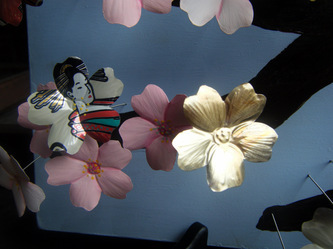 The movements are subtle. Best viewed in full-screen. 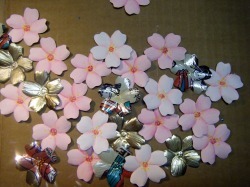 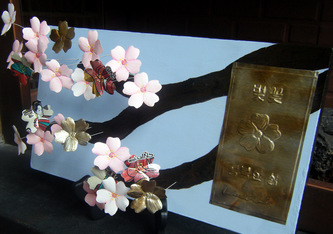 To see the progress photos of how 'Cherry Blossoms' was made, click on the photo!